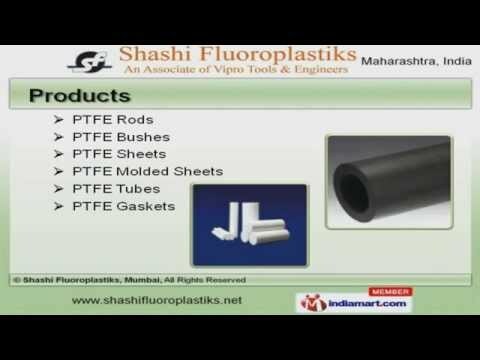 Welcome to Shashi Fluoroplastiks, Manufacturer and Exporter of Pump and PTFE Products. The company was established in 2002 at Mumbai. We export to Africa, USA and Gulf Countries. Rashtriya Chemicals Fertilizer and Aegis Logistics are some of our elite clients and we are backed by stringent quality tests and on time delivery. We offer a wide assortment of PTFE Rods, Bushes and Sheets. Our PTFE Round Bars, Chemical and Mechanical Products are best in the industry amongst others. We offer Filled PTFE Products and Pumps Components that are well known for their durability. Expansion Joints and Insulated Bushes offered by us are widely acclaimed in the market. Along with that we offer Speed Bush Bearings and Etched Sheets that are available at industry leading prices. We also provide PTFE Sheet for Pharmaceutical Industries that are a class apart.